Serbian duo Dual Flux is a collaboration between Belgrade musician Goran Ferenc and producer Janko Dragovic, an ex-Perth resident some may remember from the legendary local duo Progress Inn, whose world-class deep house productions made it into the bags of top DJs, and also played many memorable, high profile DJ sets. Since moving back to Serbia, Dragovic forged his own path under the Desaturate moniker, with an accomplished list of production credits. The two met and clicked harmoniously and this strong, unique debut EP is the result. It’s a labour of love that they decided to release independently, doing everything themselves, from the artwork, to all aspects of production. Combining Ferenc’s live instrumentation with the electronic beat know-how of Dragovic, Dual Flux create chilled out music with a warm, organic feel, that still thumps along and avoids fading into the background. While there’s a deep house vibe at its heart, at times the rising keyboards, bumping bass and touches of soaring lead guitar is reminiscent of Pink Floyd. The five track EP kicks off with the ambient keys and guitar of Distant Futures, before a jazzy drum ‘n’ bass beat kicks in. This track was also the first time the duo collaborated, and recognised they work well together. Sideliners is more of a straight up deep house track, but still keeps things chill, with polished production and wide, spacey soundscapes. The stuttering breakbeat of To The Core, meanwhile, features some lush, dubby vibes. The heavy, deep sound of Depend has an emotional weight to it, with a steady, rolling progression, that gives it a feel well suited to a movie soundtrack, or a long, night drive. Take Control wraps up the EP, climaxing with a funky as hell beat – the first time they finally cut loose with something more upfront, giving a sense of release. And it’s very easy to whack on repeat and do it all again. 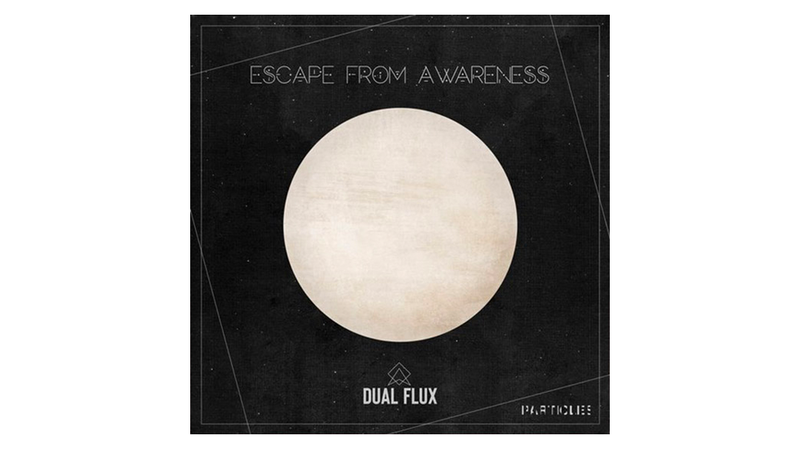 Escape from Awareness is a smooth, cohesive piece of work, and a promising debut EP from a talented duo. The sounds have a timeless quality, with good balance of electronics and instrumentation.